See if this student sounds familiar to you . . . . Casey the Connector loves to make connections. Casey can make a connection anytime, anywhere, for any lesson you might teach. Casey is the master connector! The only drawback to these wonderful connections is they occur at the most inopportune times . 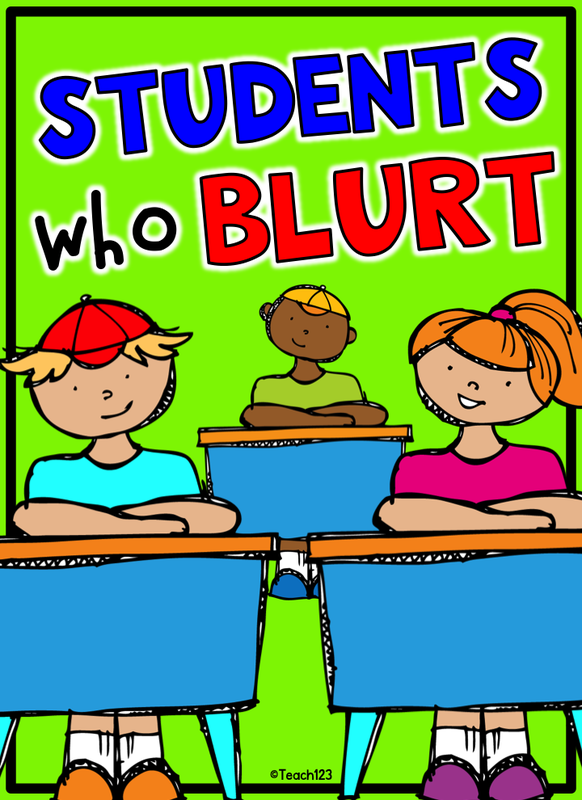 . . by blurting his or her thoughts in the middle of your lesson. As a teacher, you are happy that this obviously very bright student is taking your lesson to a deeper level, but these interruptions upset the flow of the lesson. What is a teacher to do? You don’t want to quash his or her enthusiasm, but it can get your class off the topic at hand. Maggie Combs, a SLP in Oregon, who also reads my FB page shared a great suggestion. I asked her if she would care if I shared it on my blog. She graciously agreed to pass along her technique. Maggie said . . . . I love Maggie’s idea with the library pockets. If you don’t have any library pockets and you need something right now, you can download the picture I made above. Then put the picture in a page protector, keep it on a clipboard, and write on it with a vis-a-vis marker. You can erase the names and notes after you discuss what you put in the talking parking garage. This should work as a temporary solution until you have time to go shopping for the supplies you need. Thank you Maggie for sharing your idea! I am joining the Manic Monday Linky Party. Click on the picture below to find more great freebies. This is a cute idea that the student came up with. Second Grade Math Maniac: Pencil Sharpener Giveaway! I tell my kids to "write it on a post-it and stick it on their brain" so that they remember to tell me later. It's a cute visual as they pretend to write it and stick it on their head! We can talk about it at snack or recess or whenever we have some downtime. Even if they don't remember to talk about it later, they feel that their thoughts are imporatant to me. Very cute idea! I love that! Kathy, I really like your idea too! So much cuter than just saying tell me later, haha! I love this idea! We use business envelopes (you know the long skinny ones) and seal them then cut them in half to make pockets. We can buy them in packs of 100 for about $1 in K-mart Australia, and 1 envelope makes 2 pockets! Cheap! It's great when students want to make connections and share thoughts but with the uber-tight schedule that my school insists upon for instruction in the classroom, this idea would not work. I could get away with it in pull-out therapy groups though. When I am instructing or modeling for students in the classroom, my technique is to NOT give the blurting student any attention other than to hold up the universal stop hand or the wait finger (no eye contact at all). If we can come back to that student's thoughts, we do. I have seen a huge decrease in blurting and a huge increase in hand raising when doing this consistently. Still, the parking garage is a great way to let the blurter know that their thoughts are important but knowing when/how to share is important too!